Welcome to the Brickyard@Wellington, a new 48 lot community of easy living lock and leave luxury town homes. This unit has one of the best locations in the subdivision. 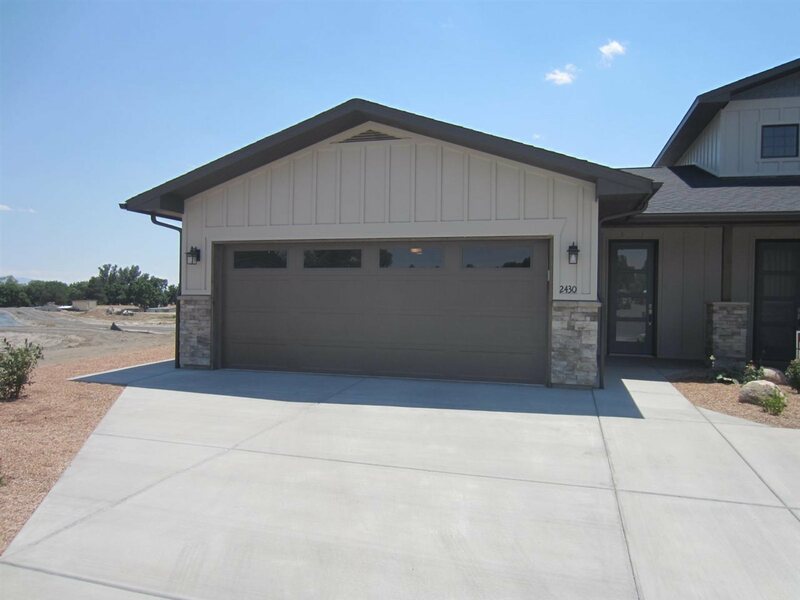 Located at the end of the cul-de-sac, it backs up to the canal with Grand Mesa views. You will fall in love with the upper end finishes inside this home. Awesome floor plan with a spacious great room. Good size kitchen with solid surface counters, breakfast bar, and quality cabinets. All appliances and window blinds are included. Enjoy the outdoors from 2 patios. HOA takes care of front and rear landscape. Convenient location is close to schools, medical, and shopping. See it today!